A rooftop snap from my Instagram. Rachel was a perturbed photobomb participant, to say the least. 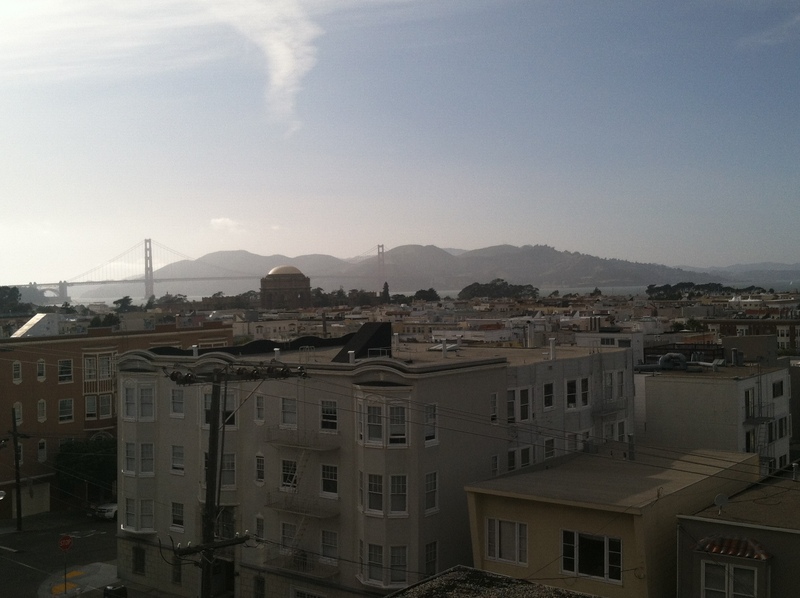 If you squint, you can see the Golden Gate in the background too! 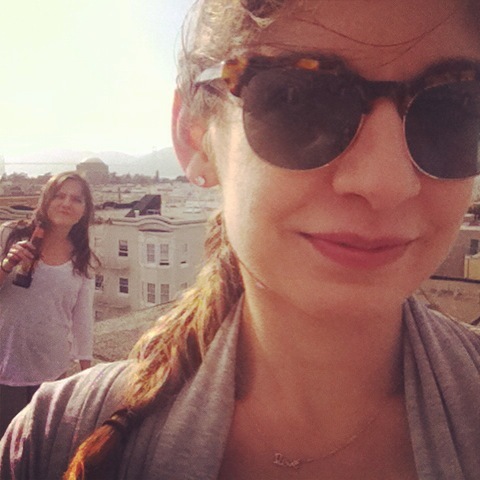 This last weekend, I tagged along with my good friend Rachel to a joint birthday party at San Francisco’s Fort Mason. For those of you that are unfamiliar with San Francisco, the grassy field located in the Marina district is also lovingly known as “Frat Mason.” If 28 year-old Joe College types are your thing, I suggest you spend all your sunny weekends there, ladies. 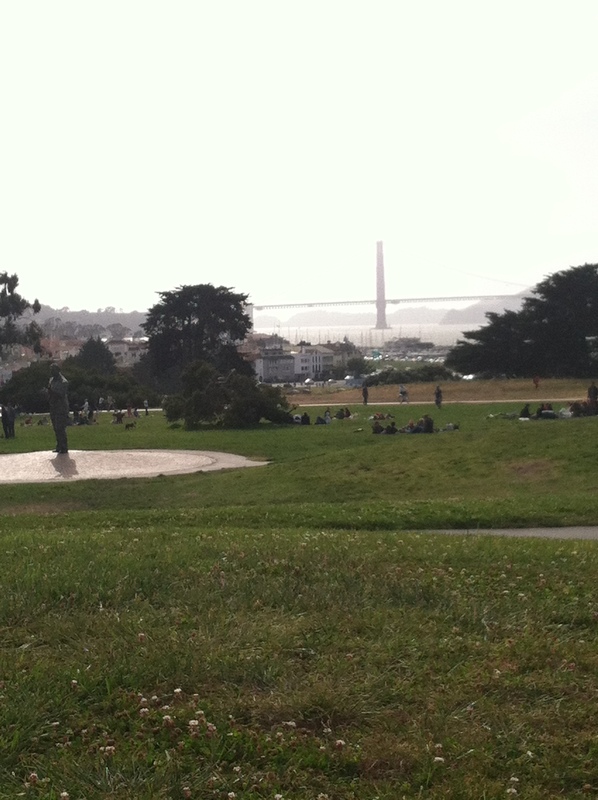 Like it’s sister Dolores Park, Fort Mason provides you with some amazing and hilarious people watching. On this occasion, I witnessed some drunken pinata bashing and overheard complete strangers’ loud, overdramatic gossip that had me stifling giggles. Funnily enough, what I like so much about the Marina tends to be what I occasionally dislike about the Marina. 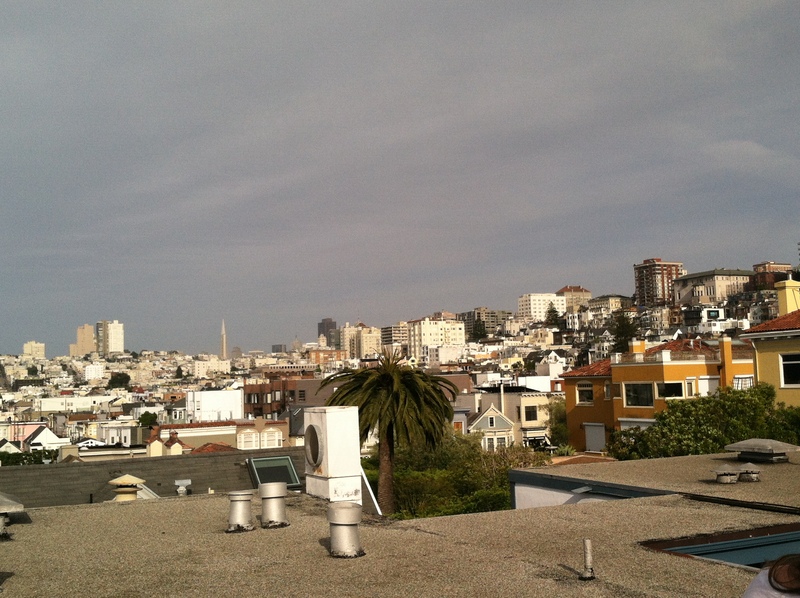 It’s unlike any other part of San Francisco, home to beautiful views and a mix of old and new money. But, having lived in the Bay Area for so long, I can’t help but think that the majority of people who reside in this part of town are transplants that are, well, suspicious of the rest of San Francisco. Don’t even get me started on what they think of Oakland. I additionally find that the blonde-to-brunette ratio quite disturbing here (hint: yours truly lies in the minority). However, its distinct population and bustling main streets are what make it so fun to hang out in. No where else in the city would a band of girls parading down the street in the middle of the day with speakers blasting Rihanna be deemed socially acceptable. I was one of the people heading that group, I’ll admit it. In short, my afternoon looked like something out of the Selfie music video, except in the middle of the day and without that pervasive beat. If you ever find yourself taking life too seriously, this is the place to go; have a mimosa, maybe get your nails done, and enjoy the views. Admittedly, what prompted me to write this little blurb was a video I came across on The Bold Italic yesterday. Created by 941 Social Club, it’s a roast of all things Marina. Why? As Bold Italic writer Wendy Steiner says: “because making fun of Marina stereotypes is one of the purest joys of life.” The creator of the video is a Marina resident herself, so it’s all in good fun. I had a good laugh myself, partially because I’ve been to 90% of all the places shown. And yes, that strawberry concoction from The Tipsy Pig is juice.